Location, location, location: Nizhny Novgorod hosts many high-profile international events, including the Russia-EU summit in 2011 and will be one of the 11 host cities for the 2018 World Cup in Russia. 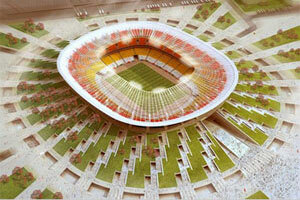 Ready for kick-off: The new stadium will accommodate 45,000 football fans. 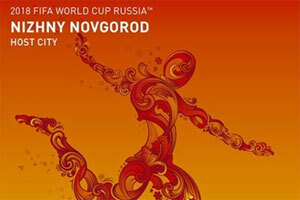 Nizhny Novgorod is the host city of the 2018 FIFA World Cup! Nizhny Novgorod is the administrative center of Nizhny Novgorod Oblast (Region) and the center and largest city of Volga Federal Region. It is located in the center of the East European Plain on the confluence of the Oka and Volga Rivers, 439 km to the east of Moscow. 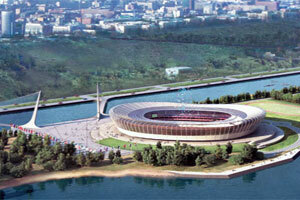 There is a river boat station, cargo port, and a number of loading terminals located in Nizhny Novgorod. The high-speed rail Sapsan train connects the city with Moscow and St. Petersburg. The city is crossed by two federal highways. Nizhny Novgorod, with the population of 1.263 thousand (2012), is the fifth largest city in Russia, ranking after Moscow, St. Petersburg, Novosibirsk, and Yekaterinburg. 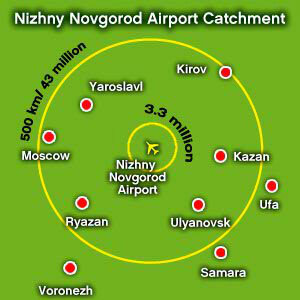 Nizhny Novgorod Airport (Strigino, GOJ) is located 15 km south-west of downtown Nizhniy Novgorod. The Airport is connected with highways to Moscow, Samara, Kazan, Kirov. 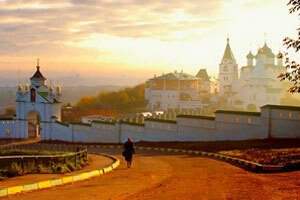 In the Nizhny Novgorod , there are over 196 hotels, health resorts and recreation camps. It has 83 accommodation facilities with the total room number of 3,106. 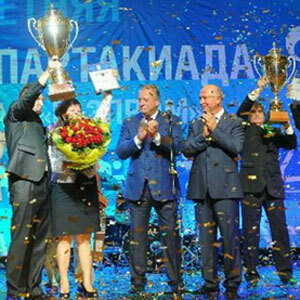 The Nizhny Novgorod has always been famous for its talents and traditions. 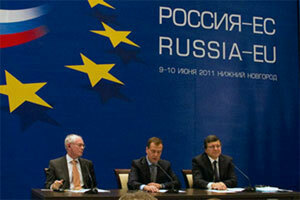 It is the region where one third of all Russian handicrafts are mastered. For those who love nature or are attracted by long journeys, adventures, unexpected discoveries, there are some fascinating water, overland and underground expeditions in the region. Nizhny Novgorod is home to more than 600 unique architectural and cultural monuments: With only two European destinations currently offered, it urgently requires new air services to realise full tourist appeal. 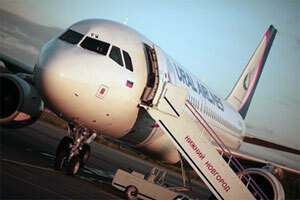 PR support: inaugural flights and activities for press, passengers and VIPs. Marketing support: statistics and market analysis for new carriers interested in serving the airport. 21% traffic growth in 2011: A diverse community of 3.3 million within the Nizhny Novgorod region makes up for a solid primary catchment. While heavy manufacturing still prevails, the R&D sector is catching up fast – the IT giant alone employs over 500 highly-skilled engineers.. Within 500-kilometre radius: Population of 43 million; includes connecting traffic from Moscow, Kazan, Togliatti, Ulyanovsk, Yaroslavl, Tula, Ryazan, Penza, and Kirov. 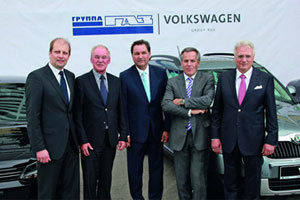 Recently Volkswagen and GAZ groups signed a long-term agreement to manufacture 110,000 cars per year through 2019. 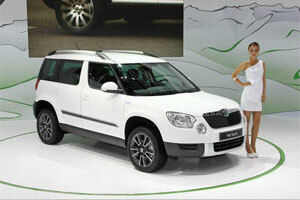 The first Škoda Yeti will leave the Nizhny Novgorod assembly line in late 2012. Nizhny Novgorod is the fifth largest city in Russia with a population of 1.3 million, an important economic, transport and cultural hub. It is the administrative centre of Nizhny Novgorod Region and Volga Federal District. 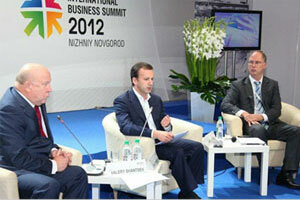 Nizhny Novgorod ranks among the leading Russian cities in terms of the quantity of software R&D companies. There are 25 scientific R&D institutions focusing on telecommunications, radio technology, theoretical and applied physics. Nizhny Novgorod has also been chosen as one of four sites for building an IT-oriented technology park – a special zone that enjoys a favourable tax and customs policy. 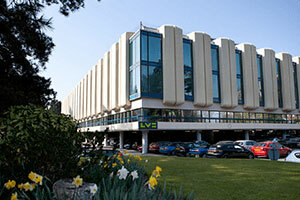 Intel has a big software R&D centre with more than 500 engineers in the city, as well as a major data centre. 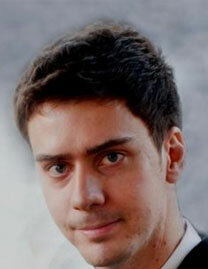 In Nizhny Novgorod there are also a number of off-shore outsourcing software developers, including Itseez, Tecom, Luximax Systems Ltd., MERA Networks, RealEast Networks, Auriga, SoftDrom, and Teleca, and many other smaller ones that specialize in delivering services to telecommunication vendors. Nizhny Novgorod’s economy is mainly oriented towards heavy manufacturing (automotive, ship-building, diesel engines, aircraft manufacture, and machine tools). The automotive sector accounts for 50% of the activity. The region ranks seventh in Russia in terms of industrial output, while the processing industry predominates in the local economy. 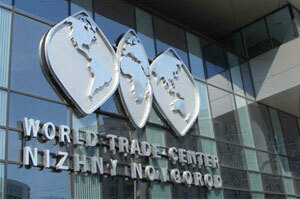 The region maintains trade relations with many countries. Ukraine, Belarus, Switzerland, Kazakhstan, Belgium, and France are main export receivers. Imports originate mainly in the Ukraine, Germany, Belarus, Kazakhstan, Austria, Netherlands, China, and the United States. In 2014, the region’s trade turnover was over $6,3 billion, including virtually even split between export and import activities. This presents a 0.6% year-on-year increase. Koltsovo Airport, the majority shareholder in Nizhny Novgorod, will invest $80 million in infrastructure development through 2021. 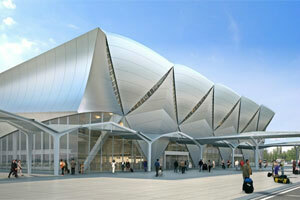 A new passenger terminal will open in early 2014. Meanwhile other excellent connections include high-speed Sapsan rail services to Moscow. Nizhny Novgorod is located in the centre of the East European Plain on the confluence of the Oka and Volga rivers, 439 km to the east of Moscow. 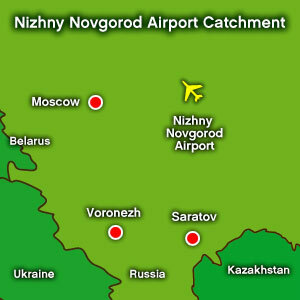 Nizhny Novgorod Airport (GOJ) is located 15 km south-west of downtown Nizhny Novgorod. Four-lane road allows for fast road access to the city centre, which is about 25-30 minutes away from the airport. Overnight trains provide access to Nizhny Novgorod from Moscow, St Petersburg, Kazan, Yaroslavl and others. High-speed Sapsan rail to Moscow was launched in July 2010. Onward travel to the east is possible along the Trans-Siberian Railway, with direct trains to major cities in the Urals and Siberia, as well as to Beijing, Pyongyang, and Ulaanbaatar. River waterways: Nizhny Novgorod is an important centre of Volga cargo and passenger shipping. 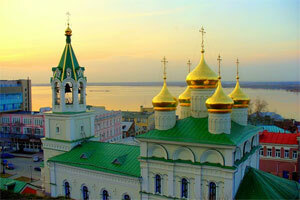 In the summer, cruise vessels operate between Nizhny Novgorod, Moscow, St Petersburg, and Astrakhan. Motorway access: The city is served by Russian motorway M-7 (Moscow – Nizhny Novgorod – Kazan – Ufa). Nizhny Novgorod airport is the convenient place for business jet parking (due to a parking shortage at the Moscow airports, business jets have to use Baltic airports for parking instead). The airport complex consists of domestic and international passenger terminal, business lounge, VIP lounge. 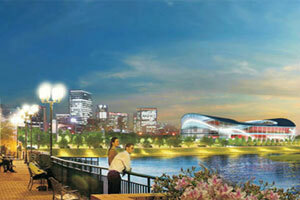 Construction of a new passenger terminal is scheduled for 2014. Total terminal capacity: 600 passengers per hour. The airport radio and lighting equipment meets ICAO Category I. The runways accept aircraft with MTOW up to 360 tonnes. In February 2011, Koltsovo Airport became the main investor and operator of Nizhny Novgorod Airport, acquiring 73.6% of the airport. 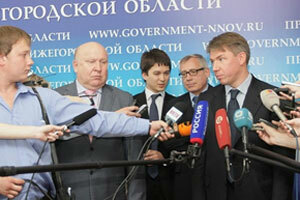 By 2014, under the airport reconstruction programme the total investments will reach RUB 2.7 billion (about £55 million). The programme includes construction of a new passenger terminal and upgrade of the current airport infrastructure.